Give a smile, Get a smile, Every Time! Sensationails Gift Certificates can be customized to suit your needs for Proms, Weddings, Bachelorette parties, Mothers Day, Fathers Day, Sweet Sixteens, in fact just about any occasion! 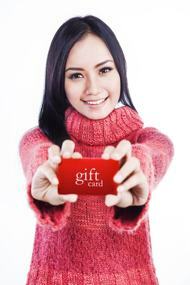 Our gift certificates can be used for all manicure and pedicure services and boutique items. As a courtesy our Sensationails gift certificates are transferable to your friends and family and they never expire. To make a purchase, give us a call at (802) 774-8171 or email us.